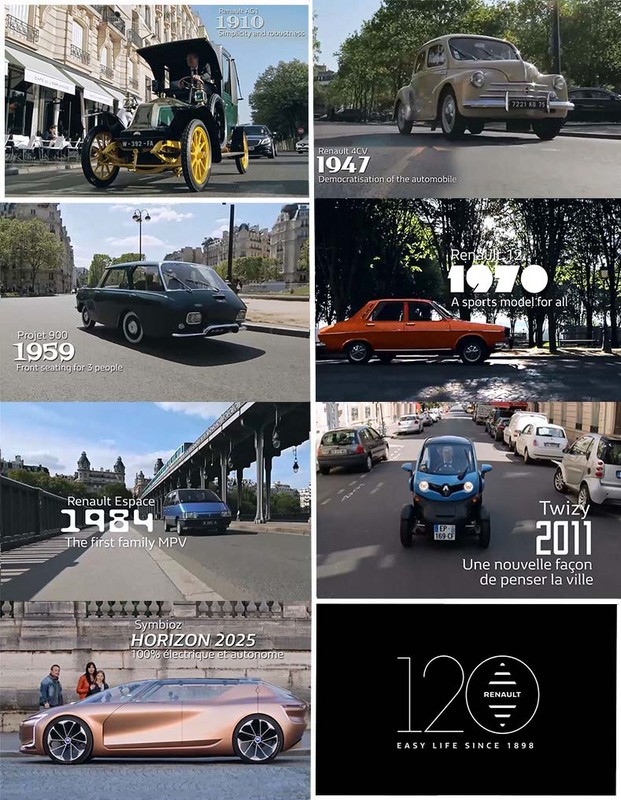 Renault is celebrating its 120th birthday! To celebrate in fitting style, customers of the Marcel ride-hailing service were treated to a unique experience on board some of the brand’s legendary models. The customers enjoyed an enchanted ride in the famous AG1 “Taxi de la Marne”, the “Project 900” concept car with a V8 engine, and the first-generation Espace. 120 years of vehicles, 120 years of mobility and 120 years of service! For its birthday, Renault offered customers of the ride-hailing mobile app Marcel (owned by RCI Bank and Services, a wholly-owned subsidiary of Groupe Renault) a unique experience. Rather than a contemporary vehicle, they had the opportunity to ride in one of the brand’s iconic and historical models that were used for this event. “By using emblematic Renault brand vehicles for ride-hailing customers, we offered our customers a true experience,” said Giovanni Costa, Head of the Contact Strategy Department at Groupe Renault Marketing and Communications. 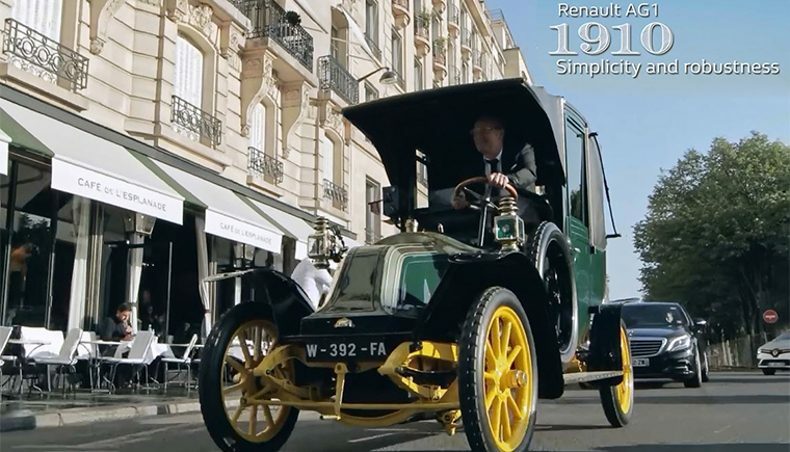 The customers journeyed into the history of Renault, which has always designed cars to simplify everyday life for motorists and meet their mobility needs, consistent with its “Easy Life” philosophy. “We selected Renault models and concept cars that marked their times, including the AG1 ‘Taxi de la Marne’ and the 4CV, as well as the R12 for its international history. The ‘Project 900’ concept car and the first Espace illustrate the brand’s innovative qualities in vehicle design, alongside a contemporary model, Twizy, and a futuristic concept car, SYMBIOZ,” said Mathilde Chaise, Advertising Project Manager. More than a century of innovation, from the Renault AG1 to the SYMBIOZ concept car revealed at the 2017 Frankfurt Motor Show. But always with the same goal of developing comfortable and elegant models in tune with their times. Fittingly surprised, the Marcel customers were literally “transported” by the historical experience!